Looking for the perfect destination for a romantic getaway, some “me-time” or a group trip? Escape to Doolin this Autumn and discover the Burren – it’s all on your doorstep! Stay in one of Doolin’s high-quality accommodation options – there’s a variety of hotels, guesthouses, inns, B&Bs, holiday homes and hostels to choose from – from budget to luxury. Check out some of the special offers on short stays this Autumn. During your stay, take a romantic stroll to the ruins of Kililagh Church where you’ll experience the most awe-inspiring sunset views or views of Galway Bay and the Aran Islands (a good spot to take a selfie or 2! Don’t forget to share the love.. #loveDoolin on your Insta or FB post). Experience a taste of the Burren in some of the best eateries along the west coast of Ireland. 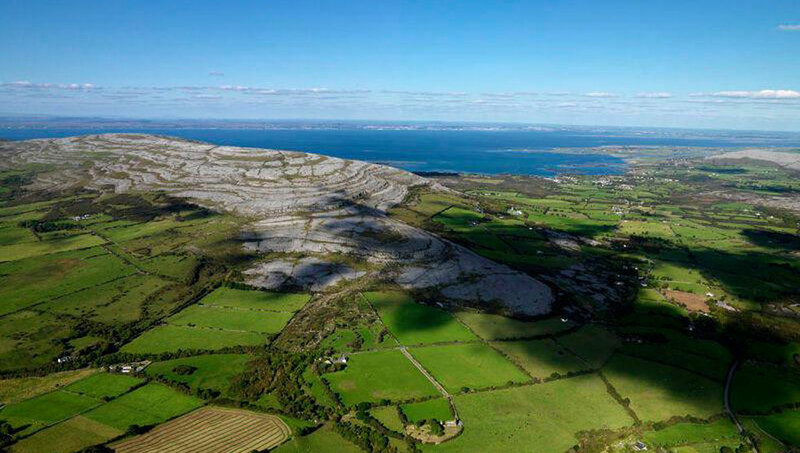 If you’re visiting for the October Bank Holiday weekend, be sure to check out the 7th annual Burren Food Fayre which is located in neighbouring Lisdoonvarna. The food fayre boasts a rich offering of local produce and artisan food from the region. Doolin’s popular Stonecutter’s Kitchen is very excited to showcase another pop-up café at this year’s food fayre. With the theme of ‘Taste without Waste’, the gals and guys at Stonecutter’s Kitchen will be actively avoiding using takeaway cups and plates etc. and will be attempting some portion control by asking people how much they will eat so food waste is avoided. With chef demos, food stalls, foraging walks, Live music and delicious local, artisan and wild food, this food-themed event is not to be missed. Take a drive, walk or cycle through The Burren and Cliffs of Moher UNESCO Global Geopark where you’ll discover a range of things to see and do during your stay. Tip: Download The Burren & Cliffs of Moher Geopark App on your mobile phone or tablet to plan your trip! 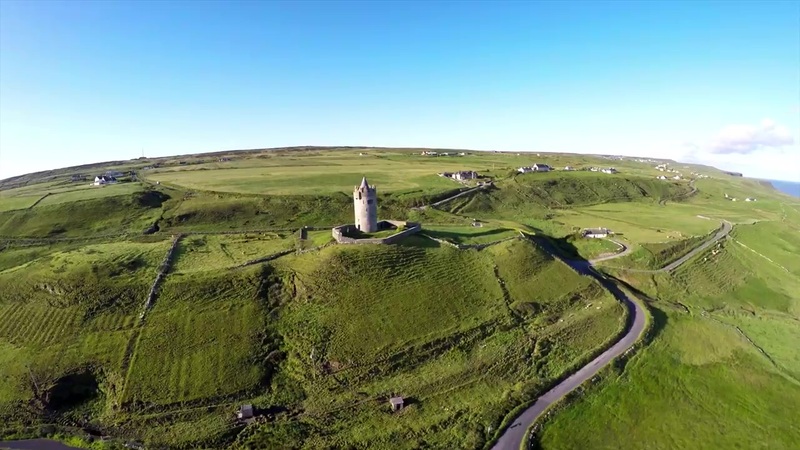 For the adrenaline seekers, venture out into the great outdoors with some of Doolin’s fantastic activities on offer within the village and its surrounding areas. Go caving, horseriding, surfing and much more. Check out some of the special offers on activities this Autumn. Stop by some of Doolin’s excellent local craft shops for some retail therapy. Check out these current special offers on Doolin shopping. Don’t forget to listen to some trad tunes over a cold/warm beverage in one of the many establishments within Doolin village before the end of your stay. For all the Singles out there..
Do all of the above – adventures are just as fun on your own or in the company of your friends and family! Alternatively, meet your future “other half” at the annual Lisdoonvarna Matchmaking Festival in September or The Outing in October! Doolin is located just 7km from Lisdoonvarna and there’s plenty of accommodation providers and local taxi drivers in Doolin who will be happy to accommodate you during the events. Rest your head at night in budget or luxury accommodation. Tip: When you reserve your group’s accommodation, be sure to contact the host directly to get the best deal. Some accommodation providers offer a group rate or special offers including dinner for small or large groups. Check out some of the special offers on short stays this Autumn. On your travels, stop for a group selfie at Doonagore Castle – it’s Doolin’s iconic tower house dating back to around the 16th century and is located just 1km above Doolin village. It boasts some fantastic sea views of the wild Atlantic, so take the camera phone out of your pocket and snap away on Instagram with #loveDoolin and tag your buddies. Doonagore Castle, Doolin, County Clare. Take a day trip to the Aran Islands or experience the Cliffs of Moher from a new perspective with the Doolin Cliff Walk (Your knowledgeable guide, Pat, will take you through history, legends and folklore of the area while you take in the cliff views) or for fans of the water, cruise beneath the cliffs and experience the cliff views from a new angle. There are plenty of other low-level activities to explore and some attractions have special offers available this Autumn. Not all groups are fans of high-level adventure but for those that are, there are multiple surf spots and other adventure activities just a short drive from Doolin. Don’t have transport? No problem. There are national bus routes in and out of Doolin each day and for those that want to tour around in small numbers, there are plenty of local taxis and bus hire companies to drive you around or take you on a private tailored tour just for your group. If you’d like some more flexibility, hire some bikes and get out there and explore together! There are bike hire companies within the village – some accommodation providers also provide great bike hire deals so check with your host. There are also some great offers on group activity breaks this Autumn and Winter. In the evenings, be sure to head down to the local pub for some great entertainment, Live music and a couple of pints of porter, while you chat among yourselves about the epic adventures of the day, before resting up for the night. Groups of musicians are also welcome to join in on the trad sessions so bring along your instruments and for those looking for a little songwriting inspiration, there are local music houses and songwriting workshops available throughout the year.